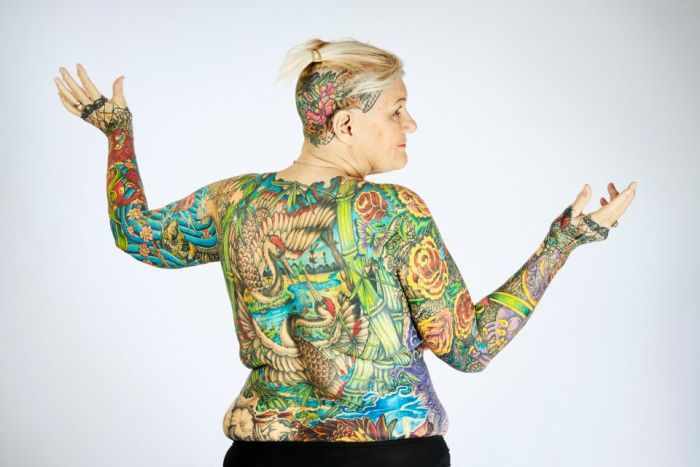 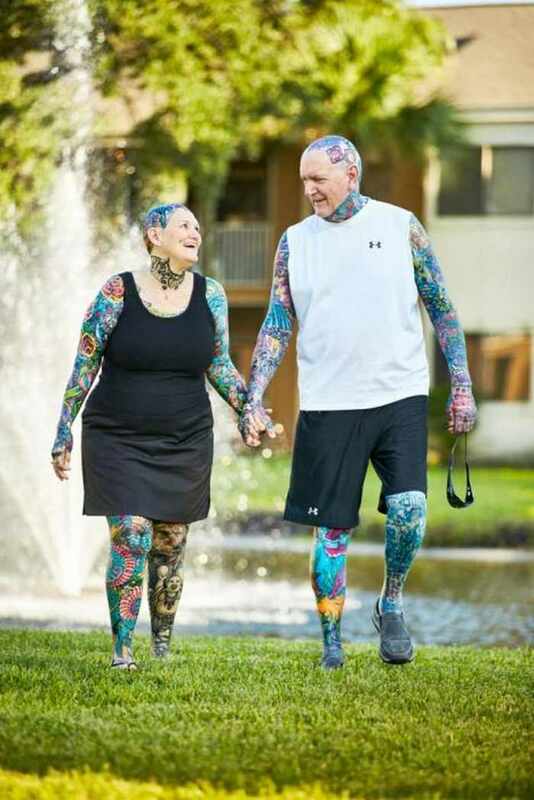 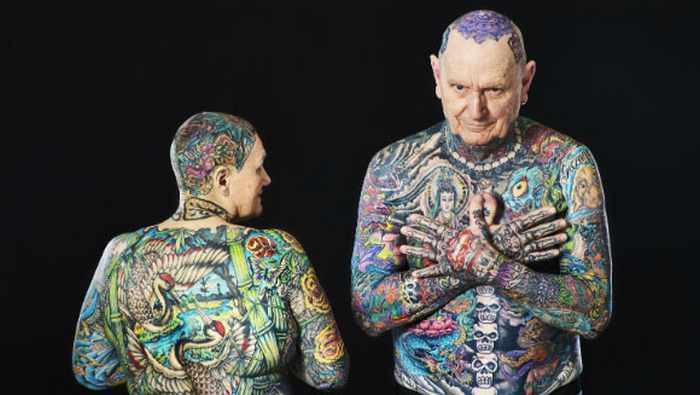 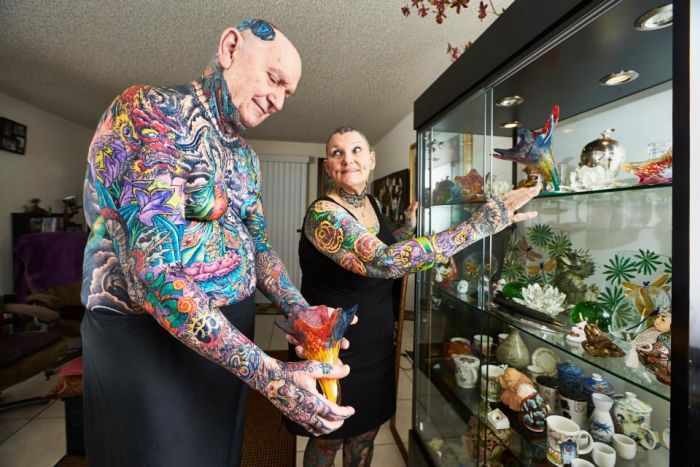 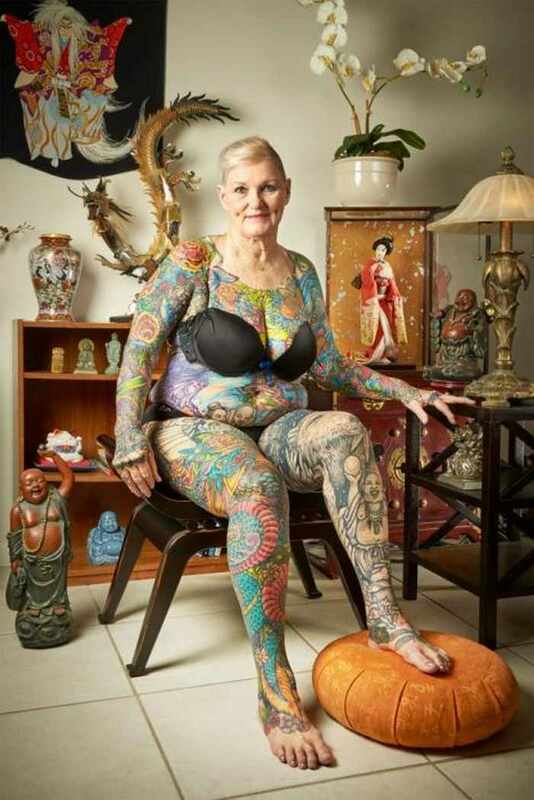 Senior citizens Chuck Helmke, 75, and Charlotte Guttenberg, 67, from Florida, are both recognized by the Guinness Book of World Records for being the most tattooed pensioners in the world. 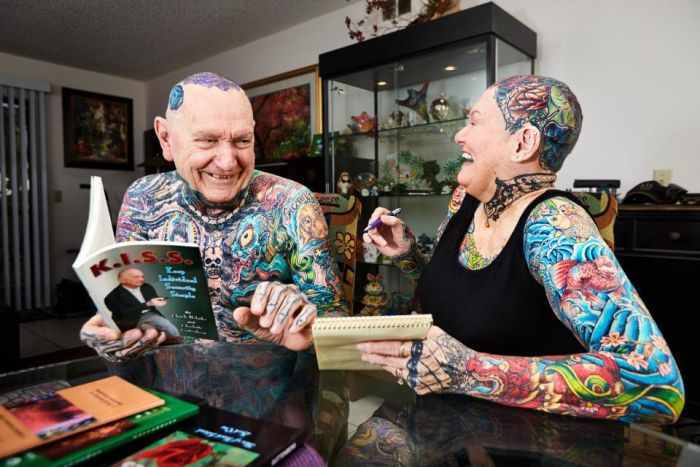 They have amassed hundreds of inking with a massive 94 per cent of Chuck’s body covered, and Charlotte’s body covered including her scalp with 91 per cent coverage. 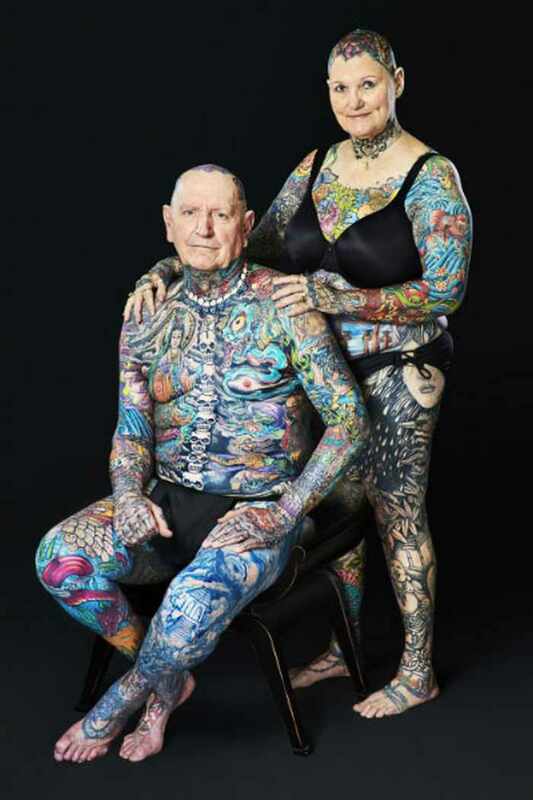 Tattoos are typically famous among the youngsters but hasn’t stopped two senior citizens making it into the Guinness Book of World Records for their inking.